This ecological All Purpose Cleaner from Ecover is produced with a newly developed Biosurfactant formula to naturally and hygienically clean all hard, washable surfaces. Fragranced with the pleasant scent of natural lemon, this All Purpose Cleaner harnesses the effective cleaning power of nature, leaving no residues of unnecessary chemicals. With quick and complete biodegradability, this cleaner is designed to have miniumum impact upon aquatic life, yet is still strong enough to be suitable for septic tanks. To make eco-friendly cleaning easier for you, Ecover has designed this new and easy-to-use refill system for your convenience. The ‘Bag-in-a-Box’ involves less plastic than traditional 15 litre bottles, and with the handy tap, refilling existing smaller bottles has never been simpler. Requires the reusable Ecover 15L Tap for use. Aqua , Alcohol, Capryl glucoside, Lauryl glucoside, Candida bombicola/glucose/methyl rapeseedate ferment, Sodium Citrate, Lactic acid, Perfume, Fatty acids C8-18, Glyceryl caprylate, Limonene. The Ecover All Purpose Cleaner Bag in a Box 15L product ethics are indicated below. To learn more about these product ethics and to see related products, follow the links below. Many, many uses in cleaning. 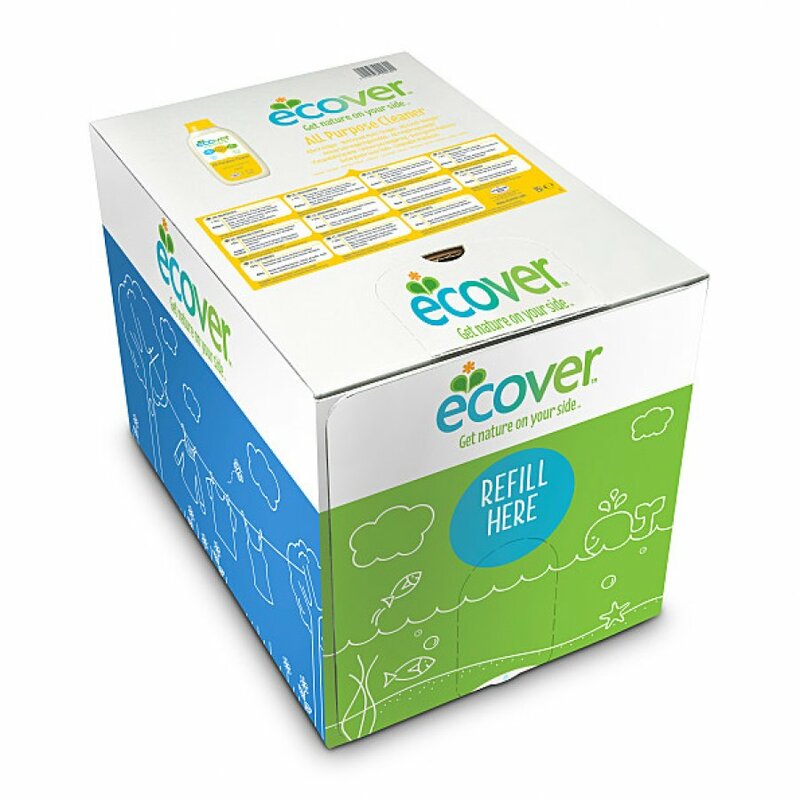 There are currently no questions to display about Ecover All Purpose Cleaner Bag in a Box 15L.